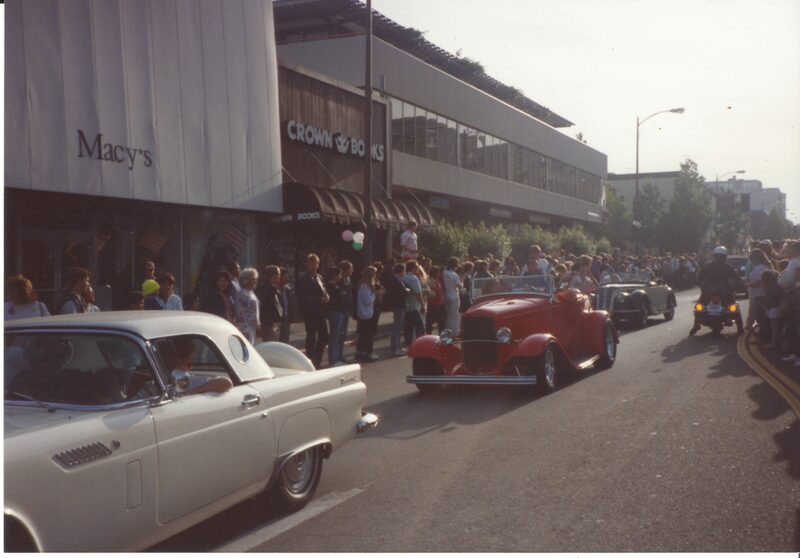 The May Madness car show’s origins are result of Greg’s desire to cruise 4th Street in downtown San Rafael with his buddies circa 60-70’s. 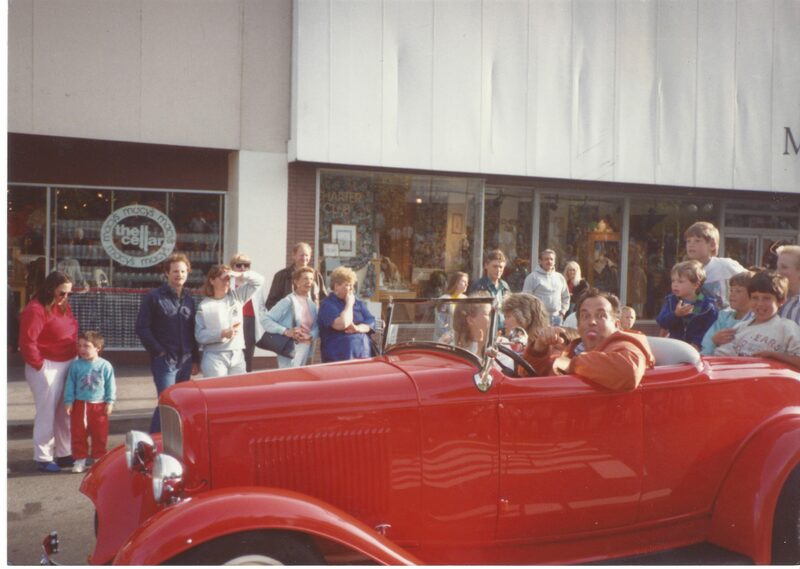 As young men in our twenties and while working together, Greg brought up the idea of organizing a car show. 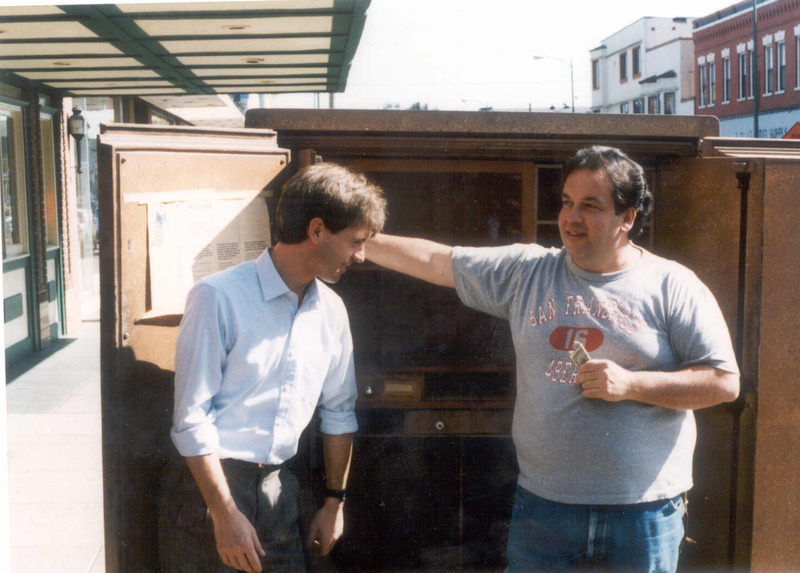 I was lucky enough to help Greg make the first event come to fruition in 1986. Al Boro (former Mayor) played a key role in helping Greg and I get the first event off the ground. We ran the event ourselves for the first five or six years, then the Merchant’s Association was kind enough step-in help us keep it going. 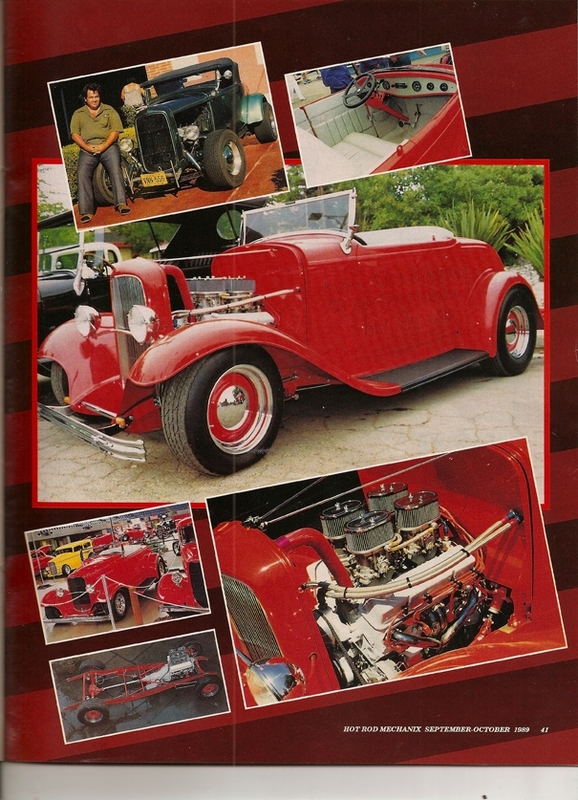 The man seen in the photo below driving Greg’s red roadster is Jake Ours. 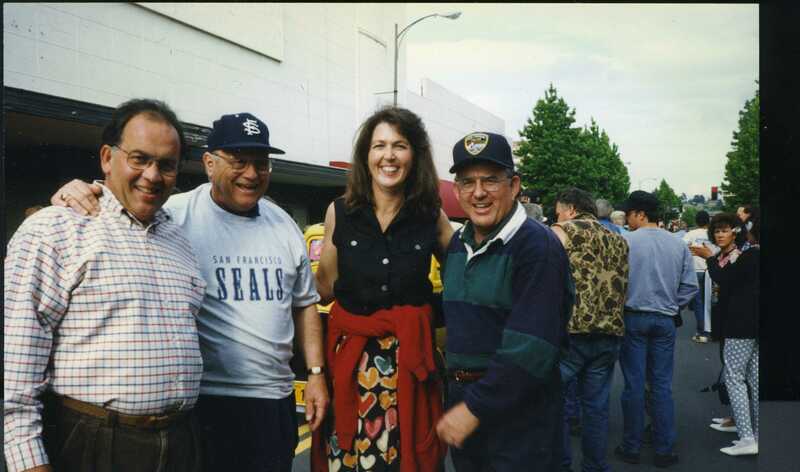 Jake was the head of the San Rafael Re-Development department, and very instrumental to the car show’s success. Times were happy and fun during this era. A time when young folks and their shiny, rumbling hot rods converged upon 4th Street on any given Friday or Saturday night. 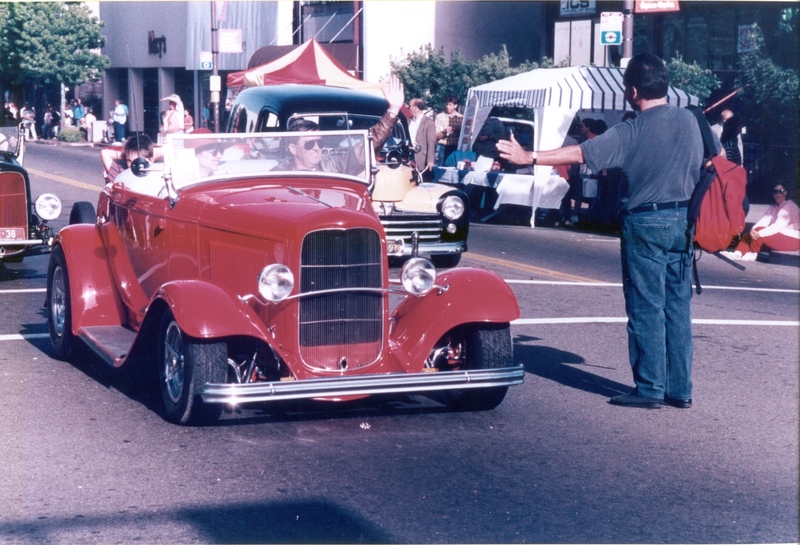 As a matter of fact, the 1st night of Filming of American Graffiti started in San Rafael. It is rumored that the reason George Lucas moved the filming to Petaluma, was the local authorities were not happy with how things went even though he had a permit to film. The first scenes of the movie are 4th St in San Rafael. Unfortunately, around 1981, the San Rafael Police Department put and end to the tradition of cruising due to the lack of officers it took to ensure everyone acted responsibly while cruising their hot rods. 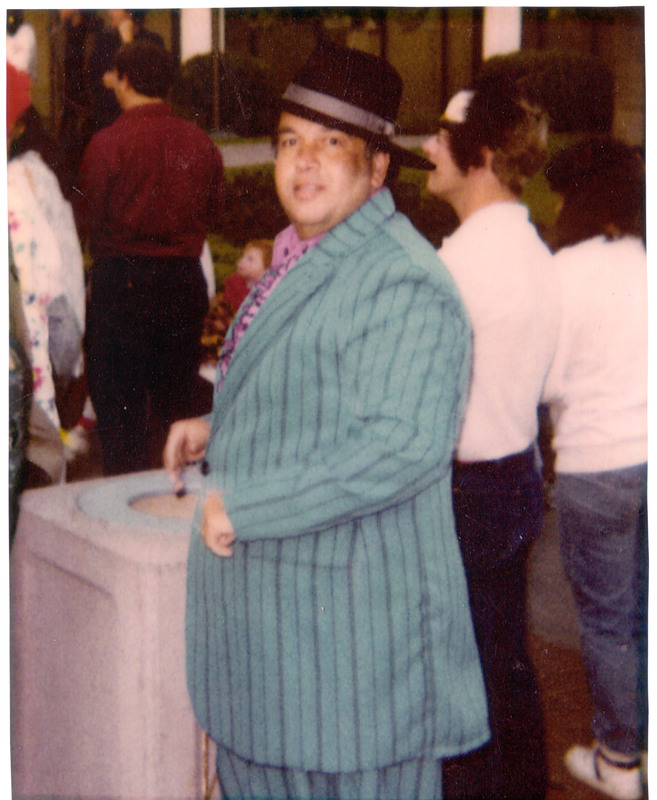 In 1987 we did not have it due to the San Rafael Police department traffic Sgt. When the mayor (Al Boro) asked why we did not have the event, Greg told him. Mayor Boro said I might be able to help. Since then this car show has been a great event for all. The current mayor, Gary Phillips has the same great enthusiasm in helping us continue the tradition. Only twice since 1986 have we not had the event. Last year we did not have it because the “Great Race” came to town and we did a small car show as part of the of the event. Greg Borrelli also owned the local pawn shop in town, and he was the president of the Merchants association. For many years, Greg was referred to as the “Mayor of 4th Street,” due to all of the hard work he put into the downtown. 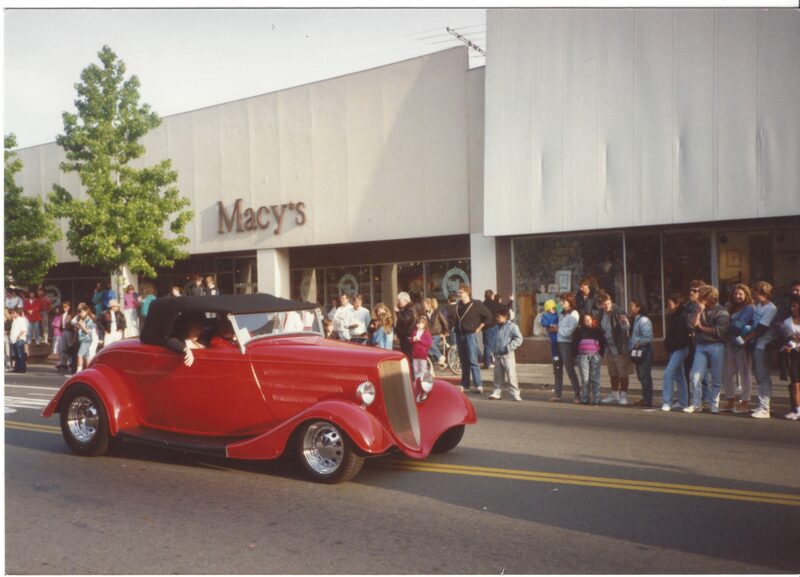 He was a well-known and respected pillar of the San Rafael community, and in recognition of his hard work and contributions, our annual May Madness classic car show and parade was named in his honor.